Price: $159990 - Rare ZTK Convertible, export ready! Chevrolet did it again: the highest HP and fastest production car in the world, the new ZR1 puts out 755 HP and reaches 212 MPH, that is 341 KM/H for the rest of the world. Our offer today is a fine example of a race equipped (ZTK) Convertible with only 1500 miles. 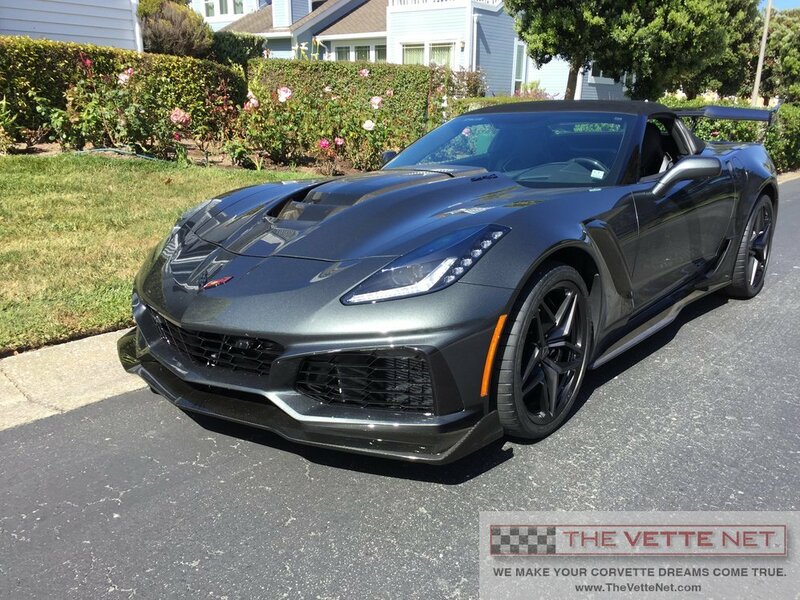 It is equipped with the 8-speed automatic transmission, 3ZR package, competition sport seats, graphite wheels and the much coveted ZTK, track performance package with MSRP of $144115. In addition to that it comes with a new set of Michelin Sport Pilot tires which replaced the "cups", car cover and some more goodies. Sales tax was paid and car can be shipped all over the world. Located in CALIFORNIA, we can assist with nationwide and international delivery. For information about this car, call anytime Ken at 866-838-8363 (+1-941-586-9924, Int'l) or email Ken@TheVetteNet.com .